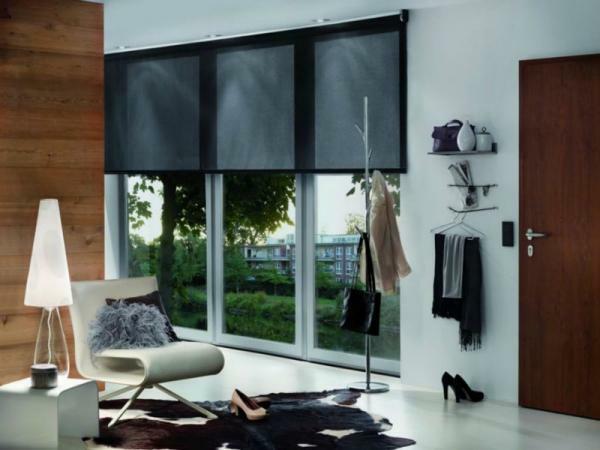 Each system includes a range of variants, which differ according to control options, configurations and application, capable of perfectly complementing the architectural setting in terms of design, operation, and appearance every time. 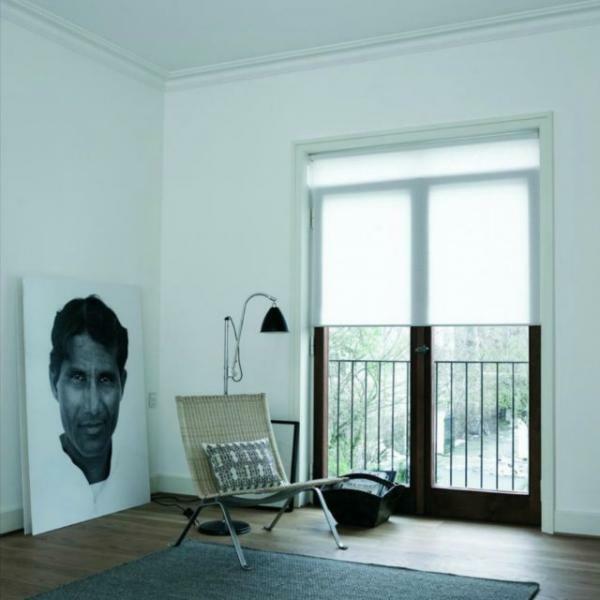 Thanks to the superb modular design, Goelst Decomatic roller blinds provide a huge variety of system options, using standardized components. 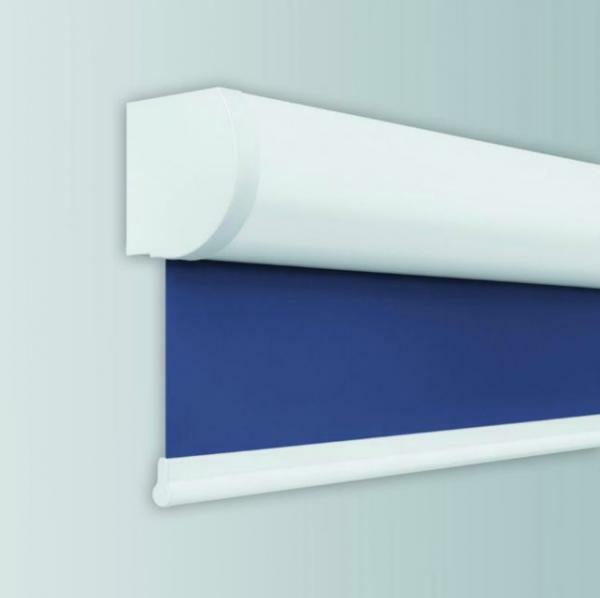 Decomatic roller blind components, covers, cassettes and side channels are marked out by their elegant, discreet design and superb engineering, making integration with almost any window possible. 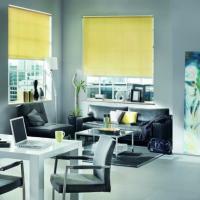 The finest materials and certified quality guarantee perfectly functioning and attractive roller blinds every time. 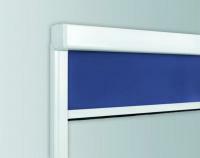 Visible components and profiles are perfectly colour matched. 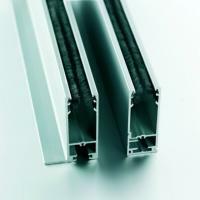 All profiles are powder-coated in White with options for Black or anodised Silver. 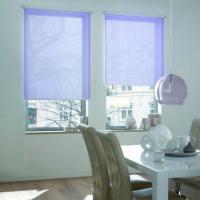 Synthetic components are available to match in White, Grey or Black. 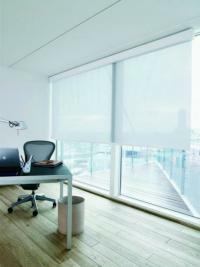 The Decomatic small roller blind system is designed for use where roller blinds with a small roll diameter are necessary. 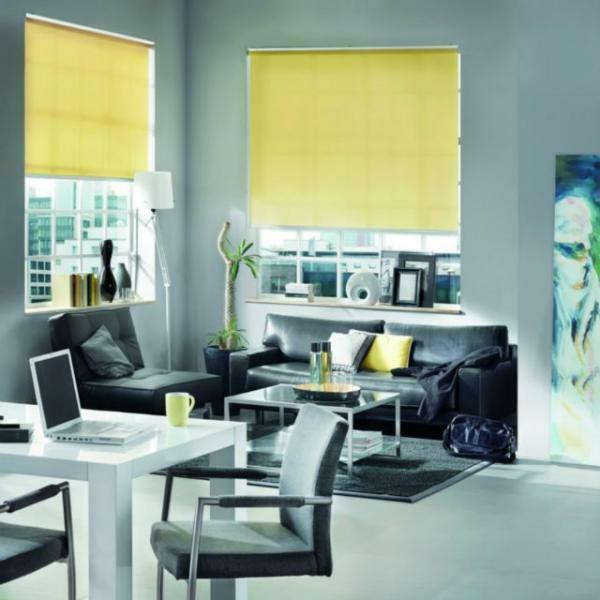 Offering an aesthetically pleasing solution for smaller windows, the proportion of the system are in complete harmony with the size of the window. A patented thrust bearing with quick fitting lever ensures easy, convenient installation when using brackets. 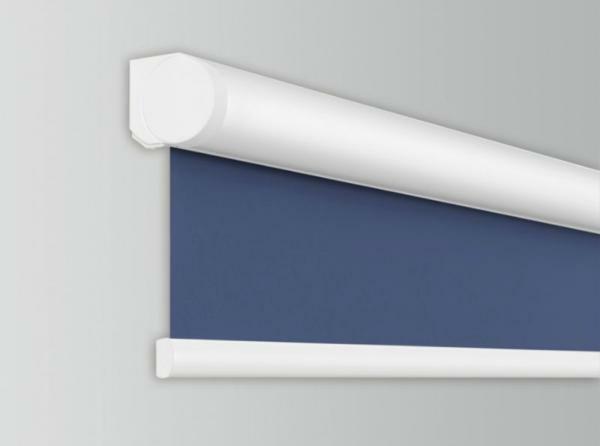 The spring loaded lever makes the roller blind assembly quick and simple to fit between brackets. 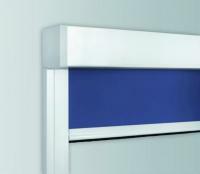 Regardless of whether wall or ceiling fixing, fixing using the mounting plate allows quick and simple installation. 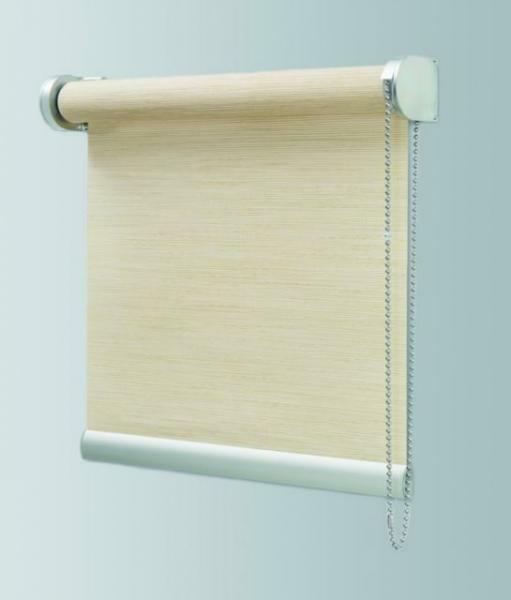 The roller blind simply clips into the fixing brackets as a complete assembly. 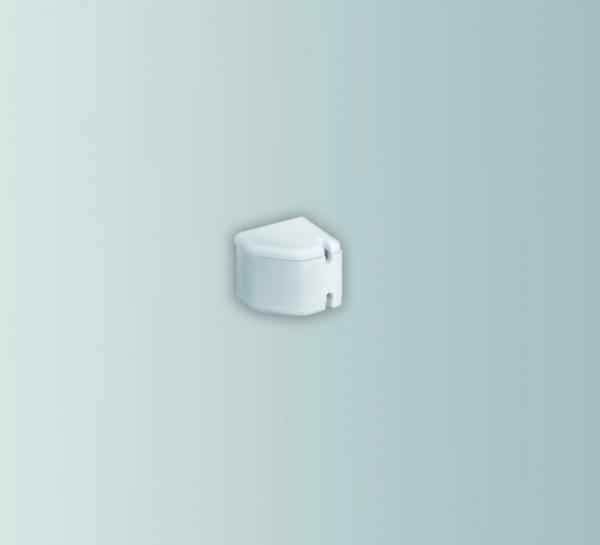 The flat mounting clip enables the blind to be installed quickly and easily with the smallest possible gap to the wall or ceiling. 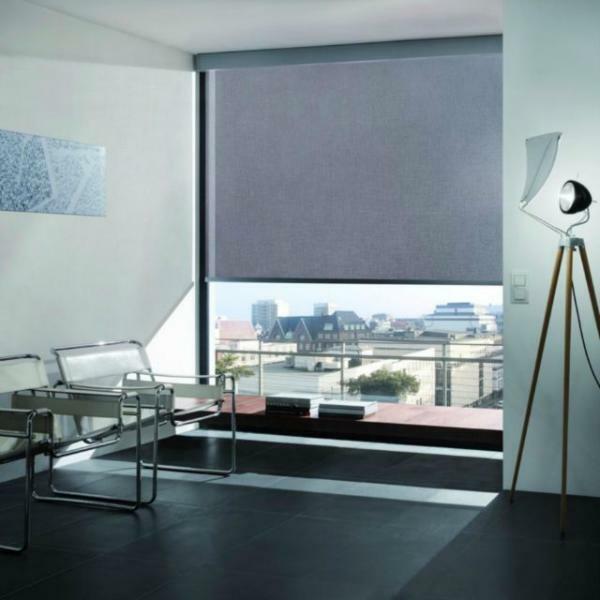 With compact dimensions and discreet design, the Small system fits in perfectly with its surroundings. 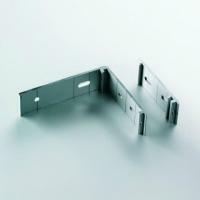 Installation is carried out quickly and efficiently thanks to wall or ceiling mounting spring clips. 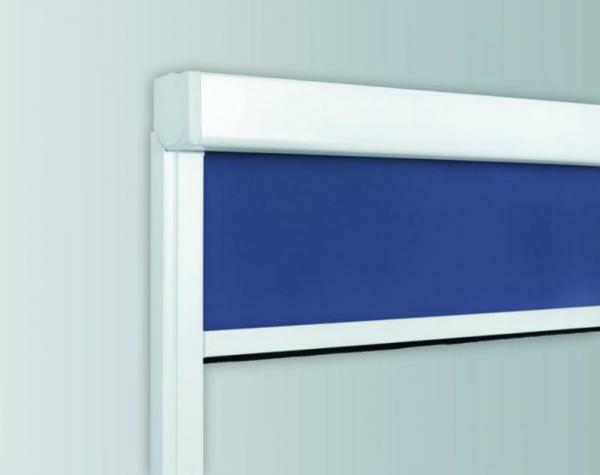 With an adjustable cord holder, the discreet cord guide can be fitted at the side on the wall or embrasure, or even on the floor - (ensure compliance with current child safety legislation). 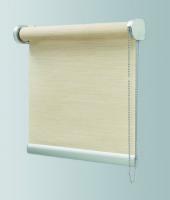 The cord holder is also compatible with medium roller blinds. In addition to side guide wires, there is also the option of side guiding profiles, complete with brush sealing strips to further reduce light ingress, where required. 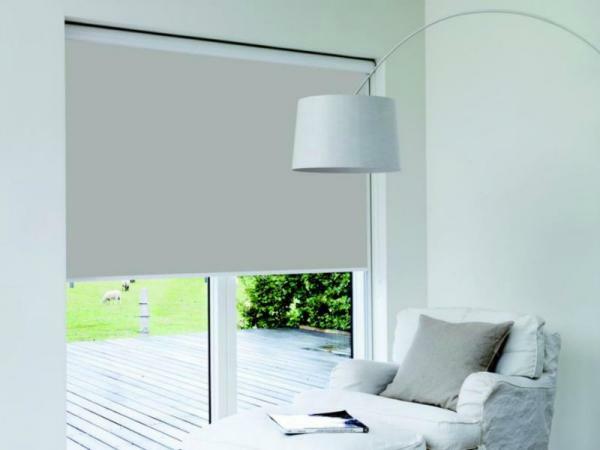 In addition to the manual side chain control, the Small roller blind system can be equipped with a 24 volt motor offering smooth, quiet operation together with a range of control options that include wired switch and radio remote control. 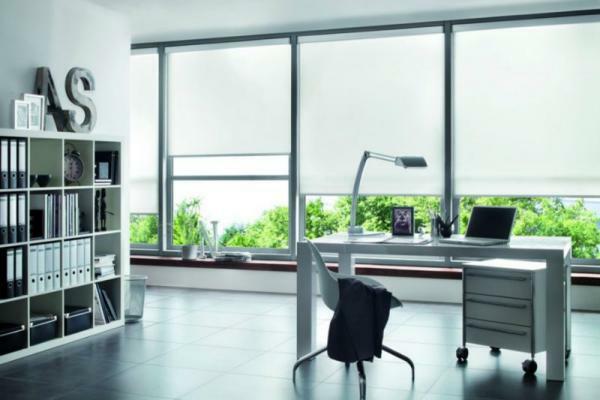 The Decomatic Medium roller blind system offers a wide range of options.With standard fixing solutions, mounting plate, round or square cassettes and a range of tube shaft and control options, the Decomatic Medium roller blind system is the perfect solution for virtually every situation. 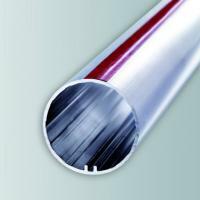 For optimum dim-out the fabric is guided in the side guide profile by means of the bottom bar end caps. 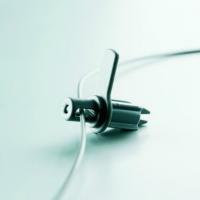 Tight brushes can also be inserted in the side guide channels. Patented aluminium tube shafts (Ø38/Ø 44 mm) with eccentric internal contouring even out tolerances, ensuring that the components sit firmly and securely. In addition to the spring thrust bearing with locking function, the thrust bearing with lever is a safe and simple installation option. Tried and tested Ø4.5 x 6.0 mm chain operation is also available with coloured matt finish ball chains for a contemporary, timeless look. 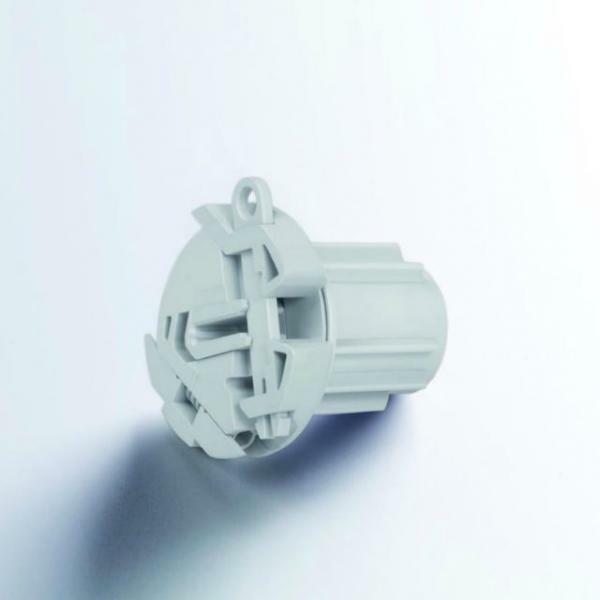 An unobtrusive chain stopper and elegant chain connector, which can also be used as a stopper, are available to match. In addition to the spring operation there is also the crank option for larger loads and improved child safety. 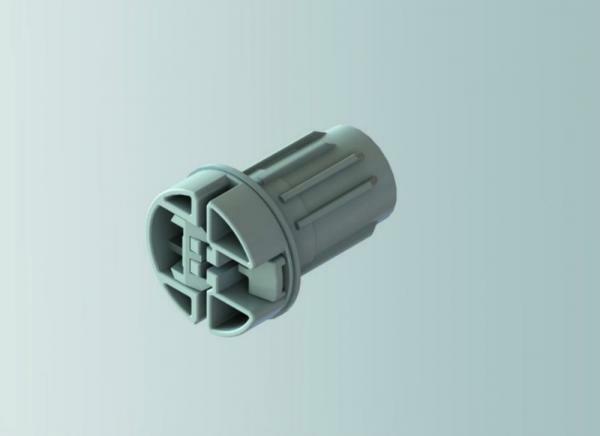 With this option a double end stop makes it possible to set a top position as well as the bottom position. Convenient motor solutions include various 24volt motors, traditional 230 volt options, plus a range of battery motors offering torque of up to 10Nm. Cassette profiles and fixing profiles are quickly and easily installed on walls or ceilings using spring clips. 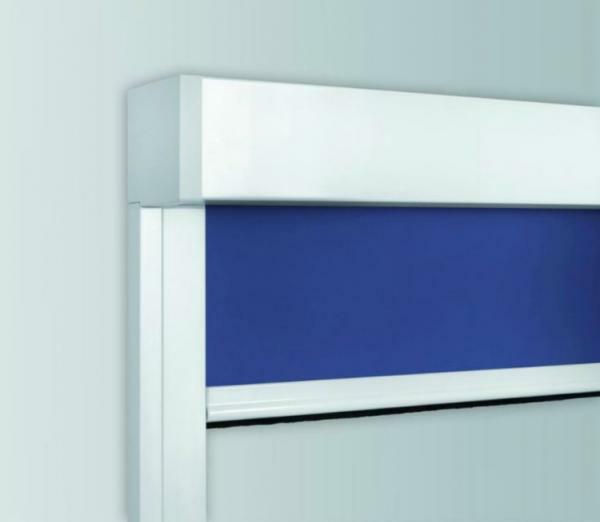 The mounting plate profile option can also be conveniently mounted using an optional aluminium bracket with screw. 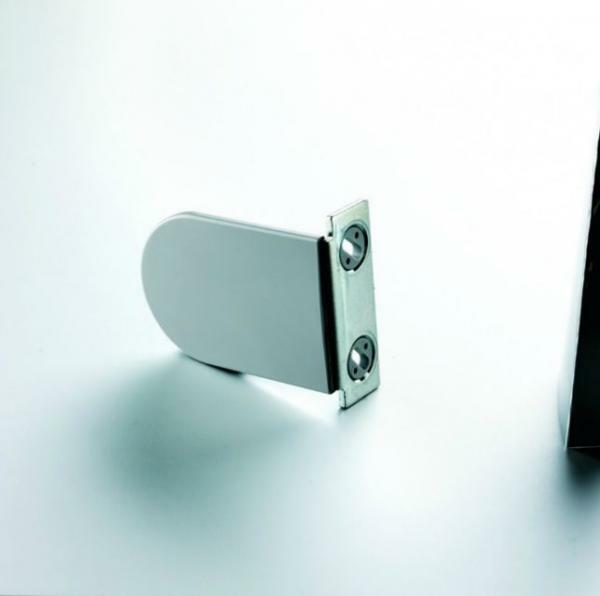 For cassette profiles, there is an optional aluminium angle bracket with screw. 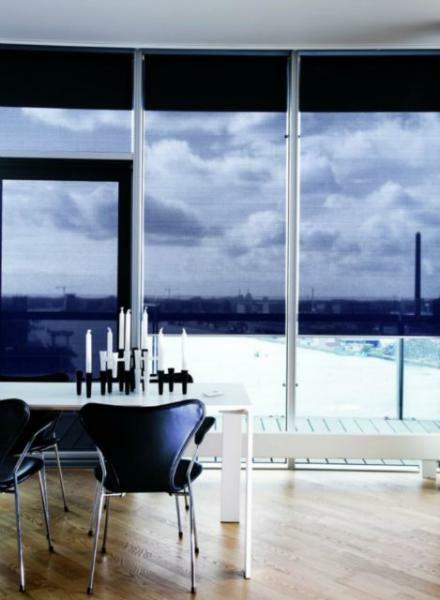 The aesthetically pleasing curved closing profile can be used with all Decomatic Medium roller blind variants. 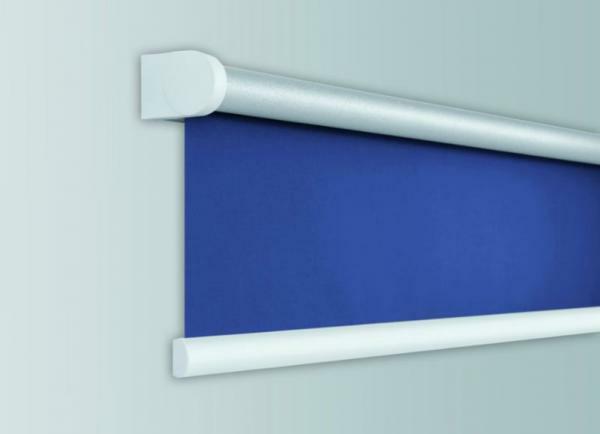 The bottom bar attaches to the fabric quickly and firmly and accepts an additional counter weight bar for light weight fabrics. As with the Small system, an optional mounting plate allows straightforward installation of the Medium system as a complete assembled unit. 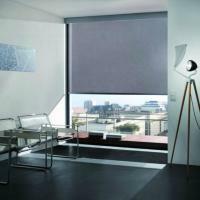 The Decomatic Large roller blind system offers a solution for all roller blinds with a surface area of up to 16 m2. Decomatic Large can be manufactured using heavy weight fabrics and offers ideal design options to cater for the demands of modern architecture, with their ever increasing areas of glazing. 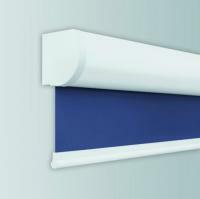 The system also includes a variety of cover and cassette options, as well as side guiding to meet every requirement. 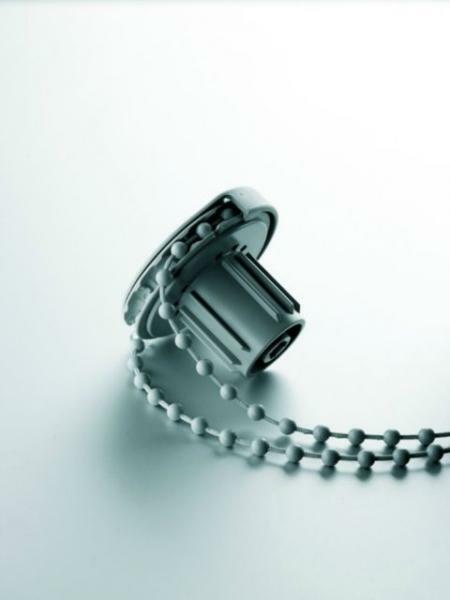 A sophisticated tube shaft system with four diameters and various adapters means that a single gear and thrust bearing are suitable for all tube shaft diameters. 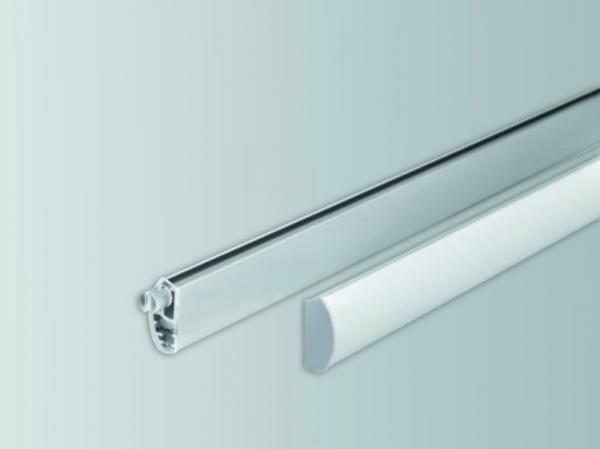 The sturdy yet attractive closing profiles are also capable of concealing an additional weight bar for more precise control. 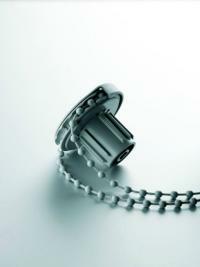 The smooth-running chain drive can be operated using Ø6 x 12 mm or Ø4.5 x 6 mm plastic ball chain in a variety of colours, or with a Ø4.5 mm metal ball chain. 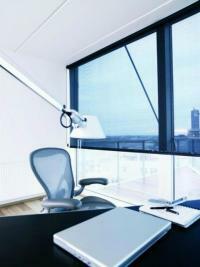 Lift assist springs or planetary gears ensure that even heavy blinds can be operated effortlessly. Alternatively there is a crank drive with a ratio of 3:1. A double end stop makes it possible to set a top position as well as the bottom position. A selection of 230 volt motors offer the most convenient option for operating Decomatic large roller blinds. 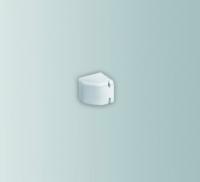 Special bracket inserts can be turned through 360°, enabling the bracket to be aligned and positioned accurately. Concealed mounting bracket allows secure installation of Decomatic cassette profiles to wall or ceiling. Optional adjustable thrust bearing allows tube shaft alignment, enabling mounting inaccuracies of up to 4 mm in each direction to be evened out (Standard on Electric options). 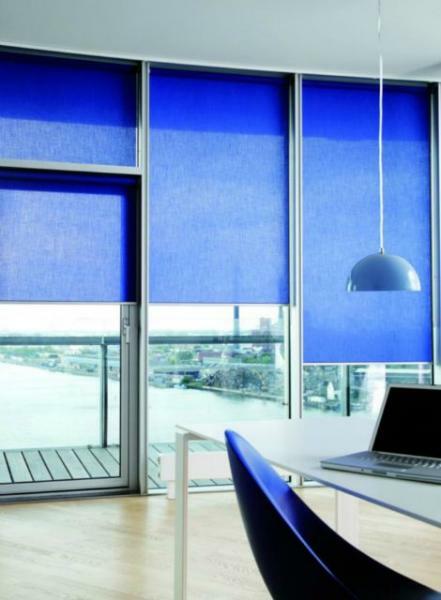 All Decomatic large variants can be coupled together using an adjustable intermediate bearing, which allows the setting of all adjacent blinds to exactly the same height.